A wonderful example of two children riding a bike. This image represents a cultural trick on the eyes, which is absolutely stunning. 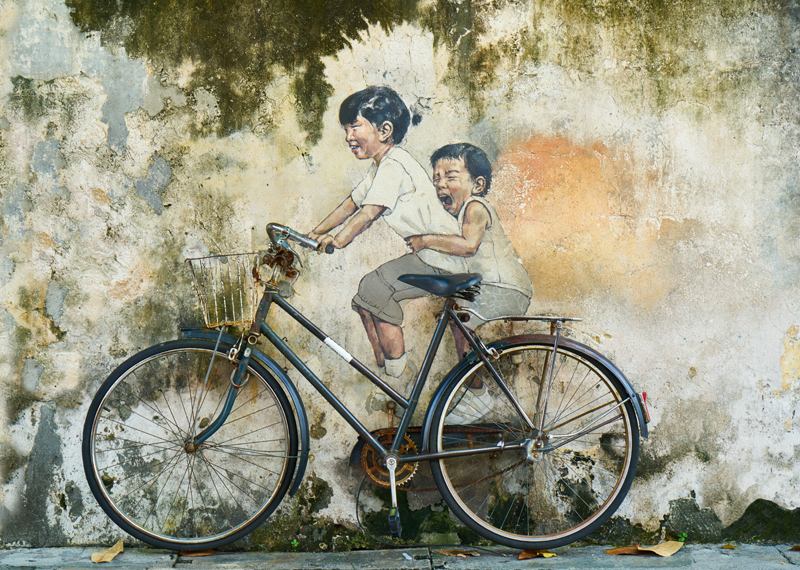 Note the Bike is very real, and that the two Asian children are hand painted onto the wall.